Rectangular-shaped magnet. Dimensions (h/w/d): 53 x 78 x 3 mm. 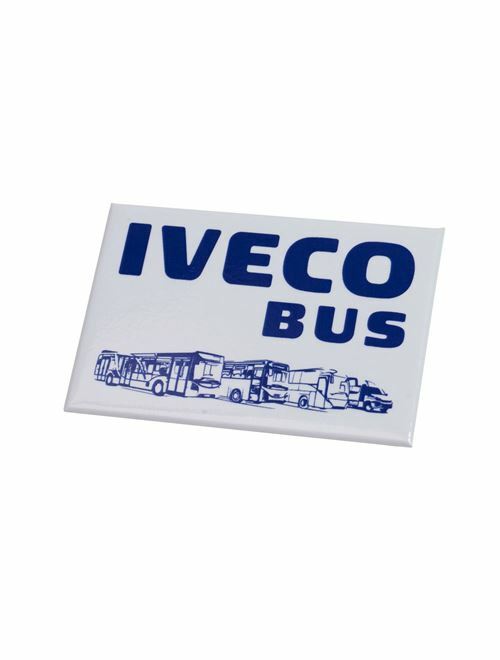 Printed Iveco Bus blue logo.